On 01-01-2019, Government of India announced few amendments on Taxable income of Individuals in interim budget 2019. 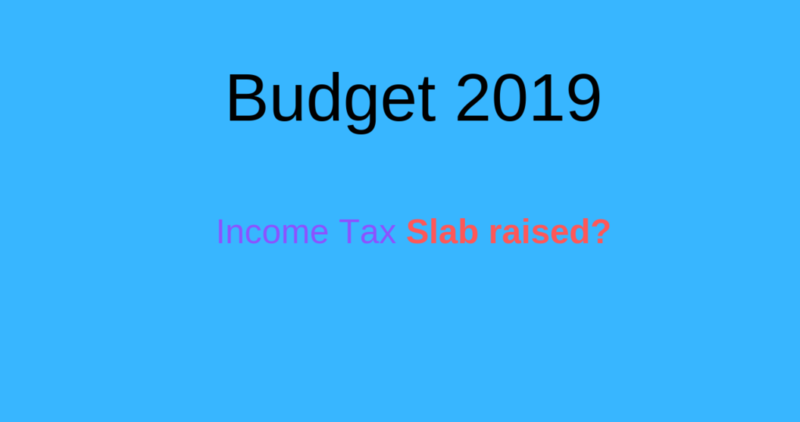 There are some people spreading the news just before the budget speech is completed in parliament that zero tax percentage in income tax slab for the individuals has been raised to 5 lakh rupees. Understanding budget is easy now a days. New tax rules, we can understand win in few hours of budget speech completed. Let’s understand Section 87 A new tax rebate. Click here to understand it. It is 5 lakh. If the gross income of the tax payer is 5 lakh or less, then the tax is nil(zero). Because revised 87 A rules giving tax rebate up to Rs.12,500 before cess as shown in the below table. The government has changed zero percentage tax slab to 5 lakh? Income tax slab not changed to 5 slab, But the new tax rebate is applicable to any one whose gross income is just below or equal to 5 lakh. It depends on on the tax deduction(80c, 80 d etc) that you have utilized. If your income is above 5 lakh after utilizing all the deductions then only you need to pay tax. The rebate first was Rs.5,000, later reduced to Rs.2,500 and now enhanced to Rs.12,500. It is really unfair if gross taxable income is just above 5 lakh. But it is part and parcel of life. We have no option left. We should digest the truth. As it is in the hands of Government. Any tax benefits for 20%, 30% income tax slab payers? No, benefits for higher tax bracket people. Honest tax payers are not rewarded well. But do not expect rebates. If your vision is to become rich, then try to follow financial planning and invest goal oriented based on your risk tolerance and financial situation. Read article about I.T.R filling benefits. Click here to read. Also, read about new NPS tax benefits are good for you?. Click here to read.